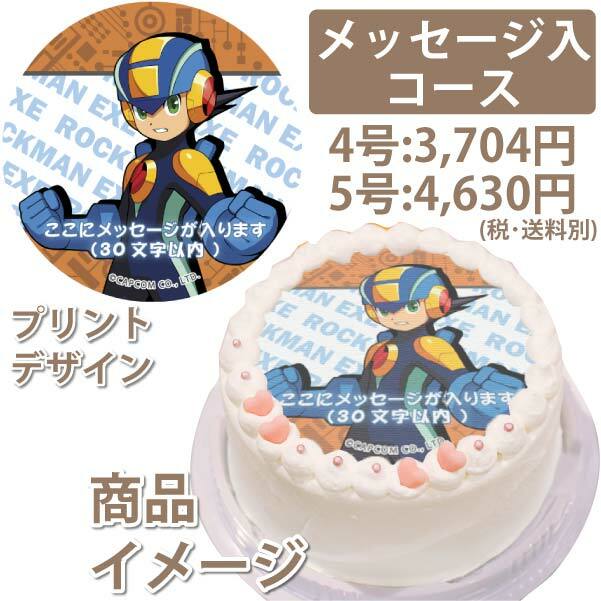 Rockman EXE's 15th anniversary has brought us new soundtracks, figures and reprinted manga. The next batch of commemorative goods isn't nearly as exciting but they're pretty cute: acrylic keyholders! Seven in all, these little guys will guard your keys and other miscellaneous pocket commodities with their life. The identity of the seventh character is shrouded in mystery, though I'm willing to bet it's Forte. It's always Forte. The set is expected to retail for 4,000 Yen ($40 US) and ships from E-Capcom late September. Mega Man: 8-Bit Deathmatch, CutmanMike's mega popular Doom multiplayer mod is back with a whole slew of new goodies. Version 5 brings Mega Man 9 content to the fray with new weapons, maps and skins straight from the game. What's more, several older maps and weapons have been fine-tuned and perfected for all those new bosses you're gonna face. The full rundown of changes and additions can be found here. When you're primed and ready, head to the mod's official website for the V5 download. Capcom's Investor Relations page has updated to reflect the cumulative growth of various intellectual properties, with Mega Man in particular having amassed 31 million units worldwide (as of June 30th, 2016). The franchise now ranks fourth in Capcom's heavy hitters catalog behind Monster Hunter, Street Fighter, and Resident Evil. The number includes 134 titles released across a 29-year period. When we last checked in, the franchise was sitting at 30 million in 2013. Due to a lack of titles released within this three year period, today's milestone is minimal at best. It goes without saying Mega Man Legacy Collection contributed to the bump - exactly how much we do not know. EDIT: For those claiming it's been 31 million for a while now, check the archives. It was 30 million from 2013-2015. From this, we can deduce MMLC helped push it along January 1st onward. 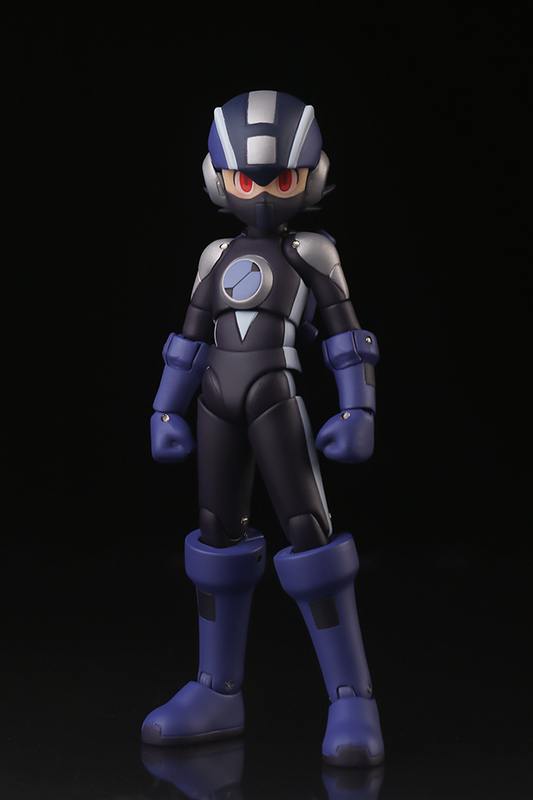 Did you miss out on TruForce Collectibles' Comic-Con exclusive X-Boost figure? Fret not, friend! Big Bad Toystore has your back. You can grab yours for a cool $149.99 while stock lasts. No telling how many units BBTS has; you might want to jump on the opportunity ASAP. Brace yourselves! 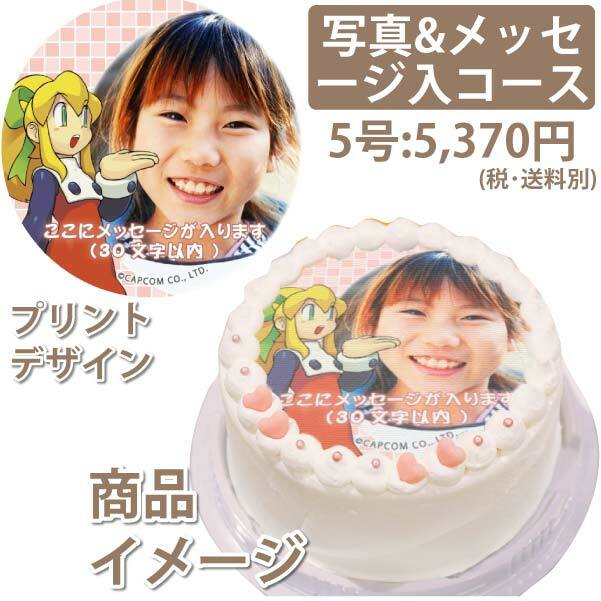 We've got new 4Inch-Nels and Nendoroids! 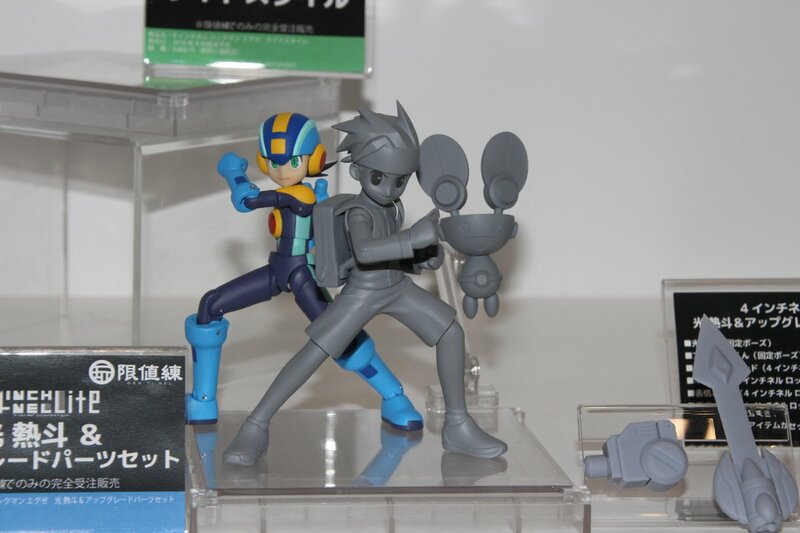 The Mega Man Network brings us a doozy of a rumor today, one not entirely out of the realm of possibility. According to an anonymous but close source, a game based on Man of Action's 2017 Mega Man cartoon is in under way. It will purportedly launch in "two forms": a main version developed by Capcom for home consoles, PC and PlayStation Vita and a "weaker" version for Nintendo 3DS and mobile. You can read the full details of the rumor here. 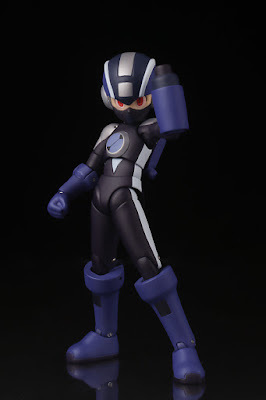 Out of the shadows and into the light, Sentinel's long-teased Dark Rockman.EXE 4Inch-Nel figure finally gets some pictures. You can check out well over a dozen images here. 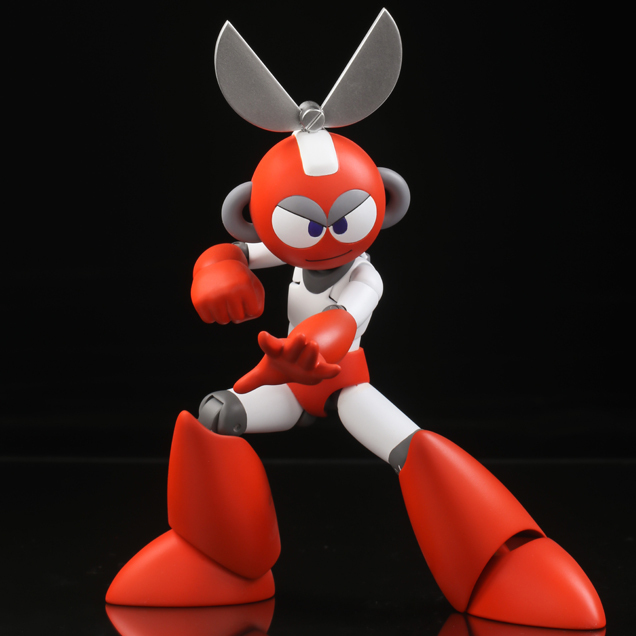 The figure is due in Japan later this August with pre-orders going live on July 25th. It will set you back 4,500 Yen or about $42.00 US. Details on international availability should surface shortly. Stay tuned! 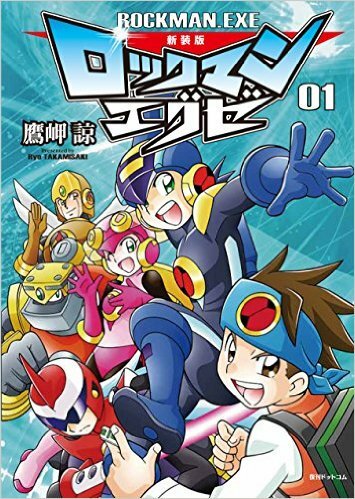 The first volume of Ryo Takamisaki's renewed and reprinted Rockman EXE manga is out the gate in Japan! No rest for the weary, though; Takamisaki's hard at work prepping volume 2 for August. Yesterday was the fifth anniversary of Mega Man Legends 3's untimely demise. July 19th, 2011 is a date fresh in the minds of many - a date which just so happens to mark the founding of Get Me Off the Moon, too. Five years on, these tenacious fans are still rallying for Legends 3. If exclusive figures weren't enough, Capcom just unveiled a pair of golden Mega Man headphones for San Diego Comic Con attendees. Featuring the same components and LED lights as the original set, these will run you $100. The silver set outed by Play Asia are nowhere to be seen. 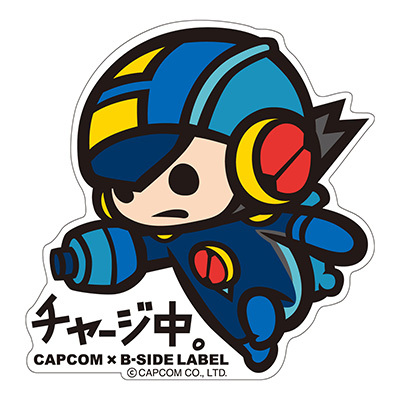 You can check out the full list of Capcom's SDCC goods and swag here. While you're there, scope out this week's schedule. 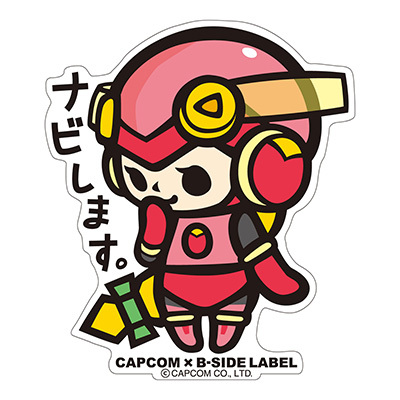 I'll be keeping an ear to the ground during Thursday's World of Capcom panel for any relevant announcements. Stay tuned! Are you headed out to Comic Con next week? Bring money. 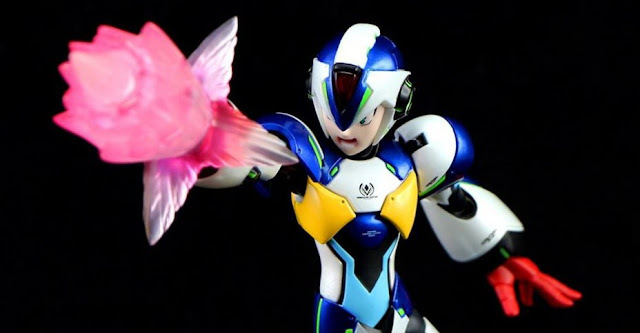 You'll be needing it for two showroom floor exclusives from Capcom. The Nintendo Entertainment System is making a come back this Fall as a micro console. Today Nintendo announced the 'Nintendo Classic Mini: Nintendo Entertainment System'. It's a small NES that comes with 30 built-in games (save state compatible! ), an HDMI cable, and a classic NES controller. The NES controller can even plug into a Wii Remote, so you can use it to play your Virtual Console games on Wii or Wii U.
Mega Man 2 is just one of 30 playable classics. See the full list after the jump. Are you an Arcade Block subscriber? Be on the lookout for this month's box: inside, you'll be treated to your very own mini Mega Man helmet speaker. It's wired, for those curious, meaning no bluetooth support. According to Arcade Block, 2000 random subscribers will receive a "rare red variant." You can see what they both look like in the image above. If this tickles your fancy, head to Arcade Block and grab a subscription. New Nintendo 3DS owners in Japan can scoop up Rockman X2 next week on July 20th. The Super Famicom classic will be available to download from the eShop for 823 Yen (about $8). As with all SFC Virtual Console titles, X2 supports save states and "pixel perfect" resolution mode. No word yet on international availability. 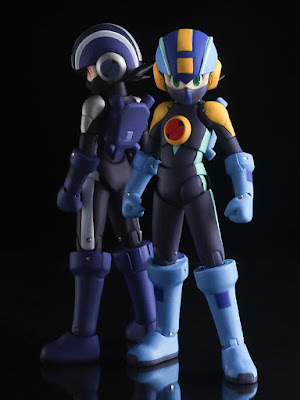 By the by, Europe just got Mega Man 7 and Mega Man X today. I'd wager they'll end up seeing X2 before North America. Mugs, bath towels, beer wraps, oh my! 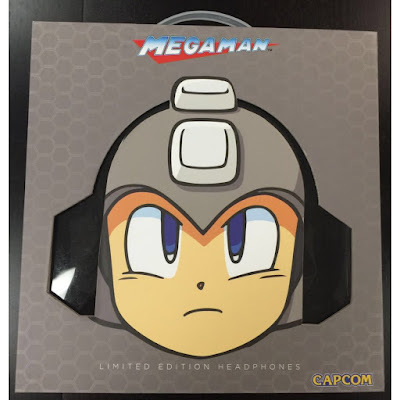 EMIO's mega popular Mega Man headphones are coming back for your wallet. Play Asia has outed a limited edition (Bubble Lead?) silver version coming at an undisclosed date, priced at $79.99 US. Much like the previous headset, this one features LED lights. No images of the actual headset exist at this time. Pending the official word from EMIO, you'll have to set with the lone box shot above. Sentinel's 4Inch-Nel Saito Style Rockman.EXE figure is still a few months off, but that won't stop us from admiring a few new pictures! 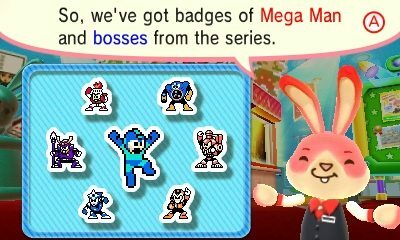 The time has finally come for North American 3DS owners to snag some sweet Mega Man badges from Nintendo Badge Arcade. 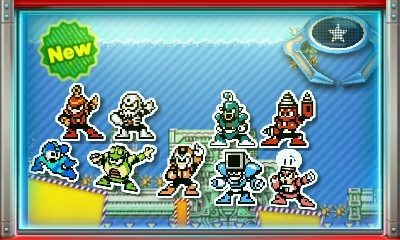 For a limited time you can try your hand at winning various Mega Man-themed icons for your home menu screen - 14 sets in all! What's more, there's on free play given away from the get-go. That's a great opportunity to start your collection... for free! Good luck! As previously reported, Ryo Takamasaki's celebrated Rockman EXE manga is seeing a reprint for the series' 15th anniversary. After much teasing on Twitter, Takamaski has finally revealed the new cover art for the first volume. The band's back together. The first volume goes on sale this month exclusively from Fukkan for 1,944 Yen ($18). No plans have been announced for an international version. 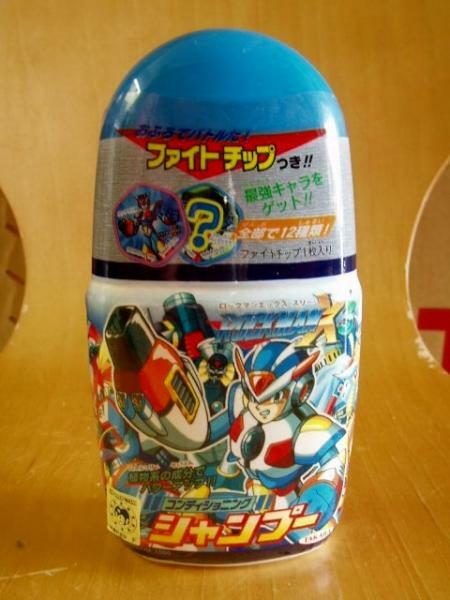 Today marks the tenth anniversary of the Mega Man ZX series, which first released in Japan on July 6th, 2006. 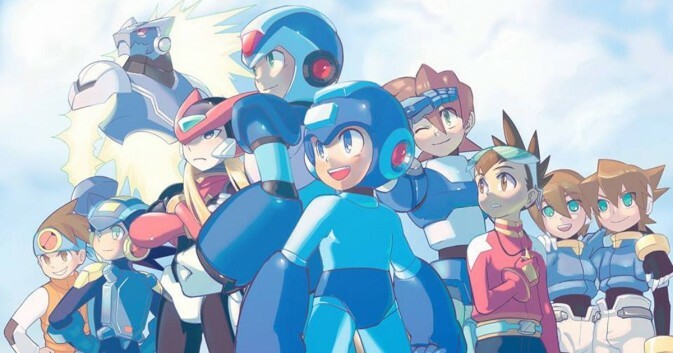 Mega Man ZX is regarded as a worthy extension to the Mega Man Zero. The game iterates on the template of Mega Man Zero 1, refining and expanding the concept of interconnected stages. 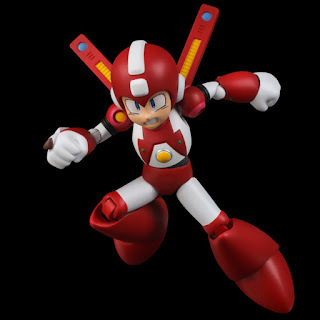 What's more, it's also the first traditional Mega Man game to introduce a playable female protagonist. Although considered the least successful of all Mega Man series, ZX is not without its admirers - a small but devoted group of fans pumping out art, garage kits, and musical remixes even today. Mega Man ZX 3 may be a distant pipe dream, but you can count on these guys to pick up Capcom's slack. So to you ZX fans out there, this is your day of celebration. To celebrate Mega Man's return to Loot Crate this month, Loot Crate has whipped up a short fan film. 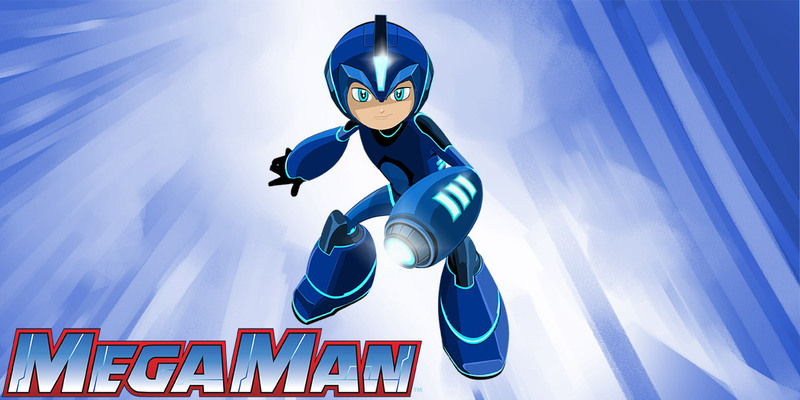 Acting as a follow-up to the November 2014 short, the film presents a "gritty" reimaging of Mega Man and co. as they square off against a familiar foe.